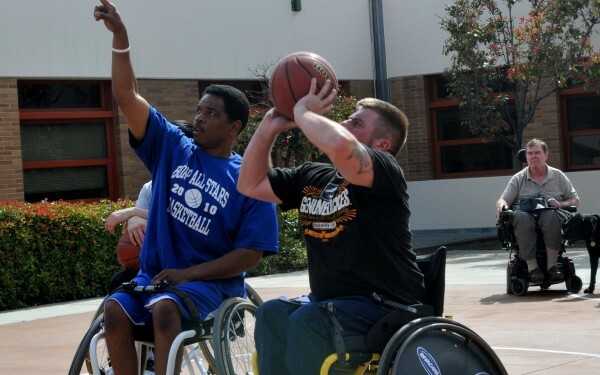 BORP offers opportunities for Veterans and armed forces members with physical disabilities and visual impairments to participate in sports and fitness activities—on weekends and during the week, on their own or with their family and friends, on bikes, on the court, or on the water. 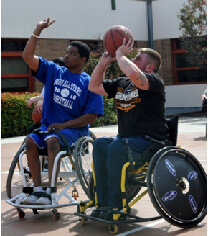 BORP has ongoing activities that are available to all service members and Veterans with a physical disability or visual impairment. Some of our ongoing programs include Adaptive Cycling, Goalball, Wheelchair Basketball, Power Soccer and adaptive fitness classes. We are currently serving Veterans at our cycling center from the Palo Alto and The San Francisco VA Medical Centers. In addition we have ongoing Yoga classes serving Veterans at the SF VA Medical Center. 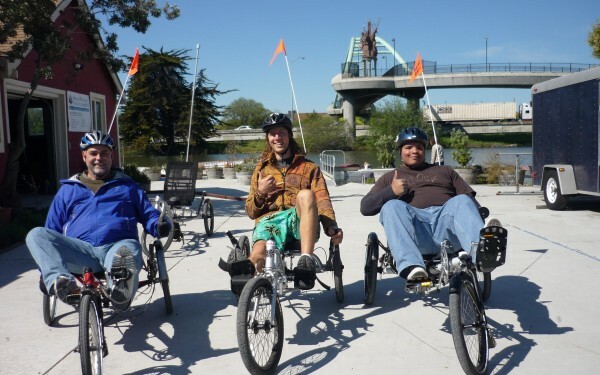 We also offer an Adventures and Outings program with urban outings to theaters, museums, and art festivals as well as intriguing outdoor adventures including sailing, kayaking, skiing, hiking, picnicking, whale watching, carriage rides, and camping trips. 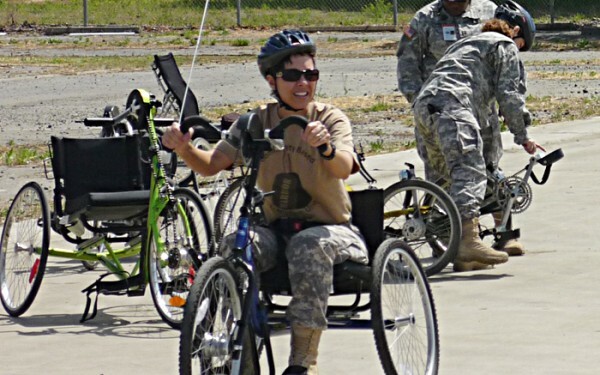 BORP offers one-day expositions where BORP staff bring equipment to the VA, provide an assessment and equipment fitting, train vets and staff on the sport via demonstrations and hands-on drills, then lead the group on a ride or in a scrimmage game. These activities are often a more effective entry point for inclusion in regular programming than traditional outreach, because oftentimes, the biggest barrier to participation is the mindset (either the vet’s or the service provider’s) that the person is not able to participate. These sports days meet vets “where they are” and show them—and everyone else who attends—that there is at least one sport out there for them. These events also serve as a useful outreach tool to initially engage participants in regular on-going programs. 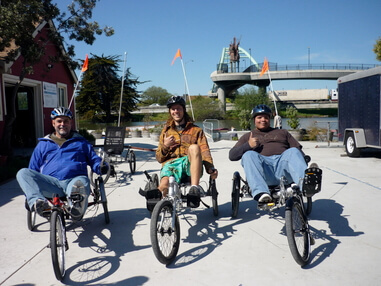 BORP Adaptive Cycling Center is Open for the Season!